Saigon Domaine Luxury Residences in Hồ Chí Minh. Official Website. 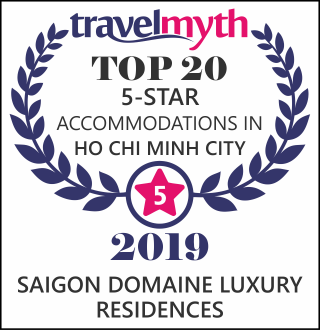 Saigon Domaine Luxury Residences, an ideal choice for those who are looking for a peaceful, and relaxed atmosphere in a green environment with all comfort and luxury of a private home. Domaine's private residences are designed to achieve seamless balance between classic simplicity and contemporary luxury. Situated in an island within the city, this first class Resort has received many international Awards. Peace, elegance and tradition guarantee an unforgettable stay. This Oasis is ideal for jogging, cycling, fishing or simply lazing around on the riverbank. Highlight the free boat ride to city center by day and night. Saigon Domaine is a Vietnamese Art supporter in collaboration with San Art Laboratory, Dia Project and Post Vidai collection to incubate regular Contemporary Art display and exhibition. You will want to stay here forever. The Prestige of the World. 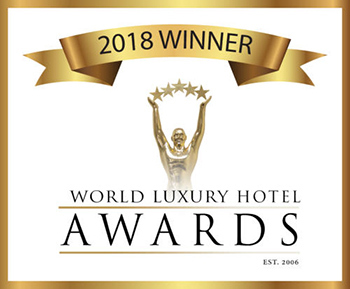 Saigon Domaine Luxury Residences has been nominated in 2016 for being one of the most luxurious destinations and has chances to win this award once again. Download the certificate here.